Calibration Notes for LE857U: Movie and Standard modes offer up a 10 point white balance setting. 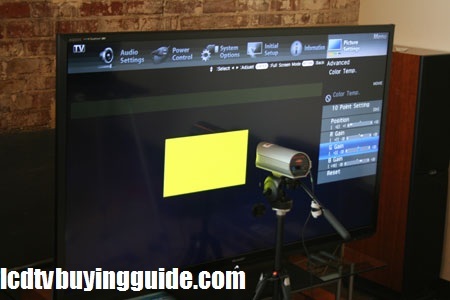 This is the best way to balance the colors on any TV versus only using a Color Management System. User mode only allows the 2-point white balance settings, but seemingly allows more flexibility within the 2 point system. 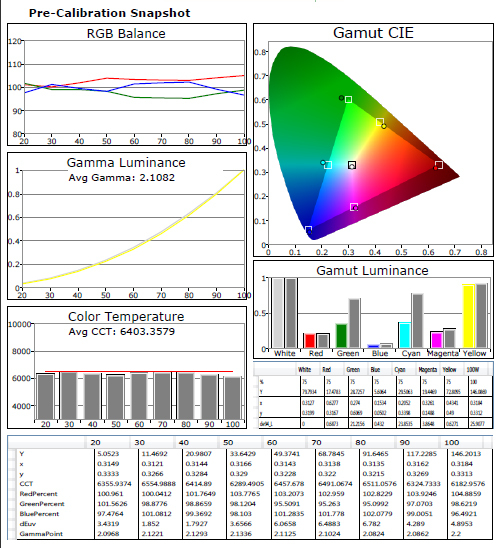 The LE857U series calibrated reasonably well to D6500K. We used the Movie setting and adjusted the 10 point white balance. Turning the Film Mode off for DVDs and Blu-Rays is a good idea to get the best picture quality out of them.